In the first test of its kind, the Pentagon on Monday carried out a "salvo" intercept of an unarmed missile soaring over the Pacific, using two interceptor missiles launched from underground silos in southern California. 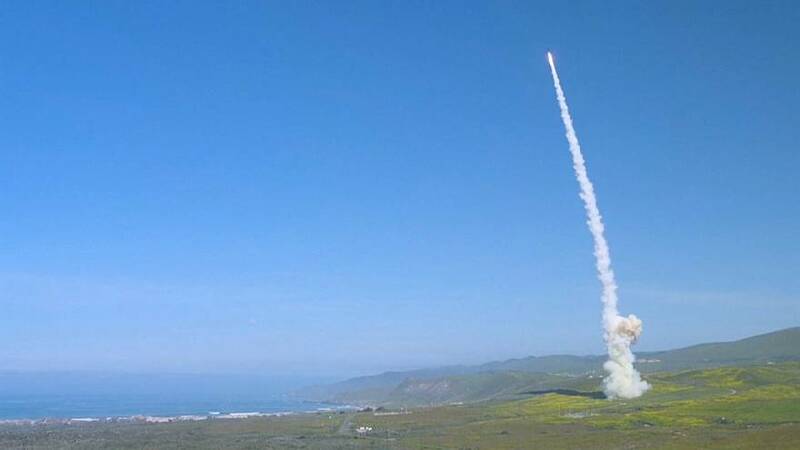 Both interceptors zeroed in on the target – a re-entry vehicle that had been launched 4,000 miles (6,437km) away atop an intercontinental-range missile, the Pentagon said. The first interceptor hit and destroyed the re-entry vehicle, which, in an actual attack, would contain a warhead. The second interceptor hit a secondary object, as expected, according to a statement by the Pentagon's Missile Defense Agency. Even though the missile defence system has been operating for more than a decade, this was the first time it had attempted a "salvo" intercept in which more than one interceptor missile is launched at a single target missile. The salvo concept is meant to improve the chances of hitting an incoming missile, which in actual combat could contain decoys and other measures designed to make it difficult for an interceptor to find and hit the target.